I am not going to lie, this pregnancy is hard. I am not one of those pregnant woman with a glow right now. I am constantly waking around with a scrunched up nose, because everything makes me sick. It takes alot of effort to get some makeup on and do my hair. So if I need to do something, I plan on doing it all on one day so I only get to get ready to go out once. I am still hoping that this "morning" "afternoon" and "evening" sickness goes away soon. I really hate feeling this way. I don't want to be this negative person. I want to enjoy this pregnancy. All I can do is pray that God gives me strength, energy and health. I Pray that God blesses my little baby. Today I am actually feeling alright, I didn't throw up when brushing my teeth and was able to eat a healthy breakfast and keep it down. There is hope. This week my baby's well defined face can make expressions like a squint and a frown. Some babies, may even start growing hair on the head on the face, such as eyebrows. If the baby is a girl, her eggs have already developed inside her ovaries. If the baby is a boy, his prostate gland is developing. I don't remember feeling like this with my last two pregnancies. In fact, my morning sickness was gone by 12 weeks. 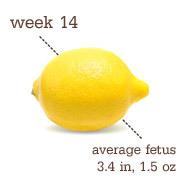 I am now 14 weeks pregnant, and my morning sickness is going strong, if not worse. I am always tired and have shortness of breath. I just want to curl up in bed and go to sleep. Waking up with a back ache (under my right shoulder) and headache. Pain between ribs, not sure if it is related to the fact that I have been throwing up a lot. I brought in my maternity clothes, but for some reason I find most of them hideous. LOL. I washed a few maternity t-shirts and a denim skirt, The rest got shoved back in the box. I ordered a few maternity items from ASOS, but will have to return almost everything. Jeans are to small, skirt and shirts are too big. I the only thing I am keeping are these pants. They are super comfortable. I can't seem to get comfortable. I have a few nights when I just toss and turn until 2am and can not fall asleep. I felt movement this week! It was at night when I was in bed, I felt little flips. My current food craving is sliced tomatoes with salt. I can have them for breakfast, lunch and dinner. I buy organic tomatoes and they smell so good.I can not wait until the tomatoes are ready to pick in my garden! There probably won't be any baby buys until I find out who we are having. CONGRATS! I hope the sickness goes away soon! I know it's not much but just think how healthy baby is. If baby wasn't there you wouldn't feel sick. (My pregnant self would punch me for being Susie sunshine). Stay strong!! well you look beautiful and i never would have known that you were feeling so ill. feel better soon! Congrats on your new little one! Pregnancy can be so rough. I (thankfully) didn't have bad morning sickness when I was pregnant with my son, but I've seen how hard it can be on friends... Hope you are feeling better soon! i hope things get better for you. 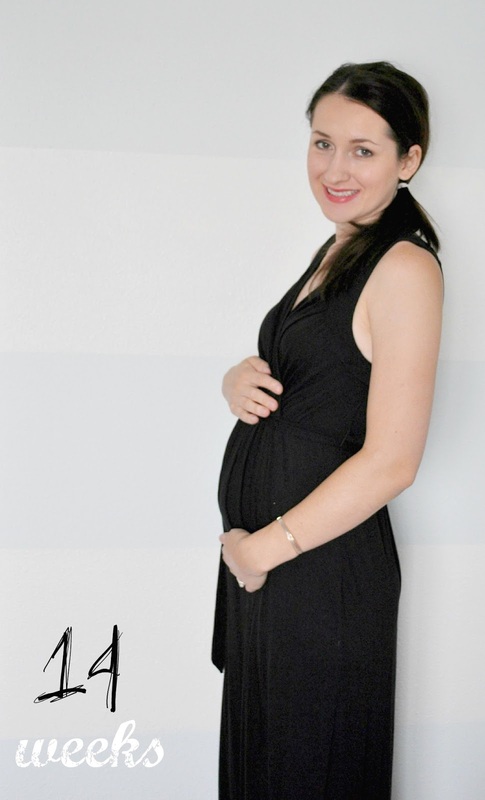 i had a rough pregnancy with all day "morning" sickness too. had to get medication, if it's really bad you could look into that. it made a world of difference for me.